The Pattishall Medal for Teaching Excellence was established in 2008 by the law firm of Pattishall, McAuliffe, Newbury, Hilliard & Geraldson LLP, in cooperation with the International Trademark Association (INTA), in honor of Beverly W. Pattishall. The Medal is awarded every four years to recognize distinguished legal and business educators for outstanding instruction in the trademark, branding and trade identity field. University, law school or graduate school professors are nominated by their peers or students, and the Pattishall Medal is presented to the individual who best exemplifies excellence and innovation in trademark, branding and trade identity education. This year’s nominations are open until April 29, 2016. Click here for details. Wait, Wait, Don’t Tell Me – The Gov’t has Reduced Filing Fees ? The big news (this will sound a little wonky, but you really should know it) is that the USPTO has just recently (effective January 17, 2015) reduced certain trademark filing fees. How often does that happen ? Previously, the government fee for the filing mode most commonly used, TEAS, was $325 per class, for an electronic filing. Paper filing is still possible, at a higher fee, $375 per class, but hardly anybody does it any more. Many applicants eschewed the “TEAS PLUS” option, even though it had and still has a lower filing fee (previously $275, reduced now to $225, per class) because it handcuffs you to using only the exact wording for the goods and services that comes straight out of the Acceptable ID Manual, which can be problematic for all but the simplest product descriptions. But now, the USPTO has created a new filing mode, called TEAS RF, for Trademark Electronic Application System Reduced Fee (they do love their acronyms), which is an attractive hybrid. It lowers the filing fee to $275 per class, and requires only that you do what you probably do anyway, like file everything electronically, provide an email address, and agree to email communications with the USPTO. It does not restrict you to using the exact ID Manual terminology like the TEAS PLUS option still does. USPTO data since January shows the desired results: “regular” TEAS applications have dropped, TEAS RF applications have increased, and overall efficiency has improved. See the Director’s Forum blog post of May 29, 2015 at http://www.uspto.gov/blog/. The recent rulemaking also reduced the renewal filing fee from $400 to $300 per class. You will still have to file a Section 8 Declaration of Use when you renew (the procedure was bifurcated previously to comply with the TLT, Trademark Law Treaty), and the Section 8 filing fee is still $100 per class. 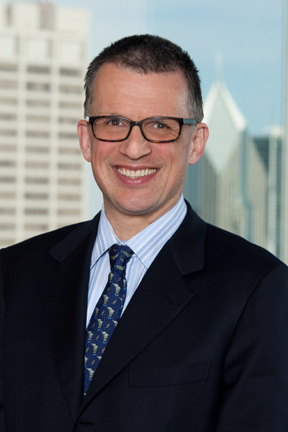 Robert Sacoff is a partner with Pattishall, McAuliffe, Newbury, Hilliard & Geraldson LLP, a leading intellectual property law firm based in Chicago, Illinois. Pattishall McAuliffe represents both plaintiffs and defendants in trademark, copyright, trade secret and unfair competition trials and appeals, and advises its clients on a broad range of domestic and international intellectual property matters, including brand protection, Internet, and e-commerce issues. Popular culture events frequently are reflected in trademark filings. The latest: “THANKSGIVUKKAH” – This year’s rare convergence of Thanksgiving with the first full day of Hanukkah. According to reports, the last time the overlap occurred was in 1888, and physicist Jonathan Mizrahi has calculated that the event will not occur for another 79,000 years. Indeed, this “once-in-eternity” event has brought a “cornucopia of money-making” opportunities as described by USA Today. And where there’s a money-making opportunity, there must be a trademark. Reportedly, the “Thanksgivukkah” term was coined by a Boston resident, Dana Gitell, who had the foresight to protect the mark by obtaining trademark registrations for the term, in Class 16 for greeting cards and other party goods, and in Class 25 for t-shirts and baby garments. The applications, based on a stated first use date of December 3, 2012, were filed one day later, but nearly a year before the 2013 holiday. In another oft-reported story, a 9-year-old New York boy, Asher Weintraub, “invented” the “Menurkey” – a turkey-shaped menorah – and with his parents’ help, raised more than $48,000 on Kickstarter for the product. They have already filed for a federal trademark registration. Anxious to get in on the “Thanksgivukkah” trademark action? Despite many media references to “Gobble tov,” as of this writing nobody has sought to register a trademark for it. Also available: “Hanu-Giving” and “Challahday Greetings,” the latter of which was first registered back in 1985 and has long since expired. The trademark office is often a reflection of popular culture, but not surprisingly, many of these marks either never make it to registration, or are quickly forgotten and abandoned. Government and historical events often spawn these filings. For example, seven applications have been filed that incorporate the term “Obamacare” – mostly related to insurance services. Three have already been abandoned, and four have pending office actions. Nevertheless, this volume of filings pales in comparison to the adoption of other government catchphrases. Remember the Iraq War’s “Shock & Awe”? Within hours and days following the initial attack on Baghdad, applications for “SHOCK & AWE” in various formulations started flooding in to the USPTO. Not counting applications for other marks incorporating the terms, 36 “SHOCK & AWE” applications were filed for everything from golf clubs to pesticides, lingerie to fireworks, and even “infant action crib toys.” Of that, only four were eventually registered and remain on the register today. During the same period, the ire over France’s lackluster support of the United States in the Iraq War led to another pop culture trademark spat. French fries became “Freedom Fries.” Within 60 days of the controversy, six companies sought to obtain a trademark registration for the term, and one tried two years later. The first user of the mark ultimately prevailed in the registration battle, but years later, allowed the registration to go abandoned for failure to file the Section 8 maintenance declaration. The king of pop culture filings, however, occurred at the 2000 year millennium. USPTO records reflect over 320 filings for trademarks incorporating the term “Y2K.” Of that number, only 27 ultimately registered. Today, only one registration remains on the register – for business consulting and information services. In contrast, the USPTO records may well be a good barometer of what is highly unpopular in the United States – as no one sought to register “FISCAL CLIFF,” “DEBT CEILING” or “GOVERNMENT SHUTDOWN”! See U.S. Registration Nos. 4,371,793 and 4,379,381. See U.S. Application Serial No. 85/956314.